Raisal works with banks, credit unions, and institutional private lenders and offers purchase or refinance solutions. They have been in business since 2014. Their rates start at 7.99%. The maximum LTV they can lend is 80%. It typically takes 2 weeks for them to close a loan. 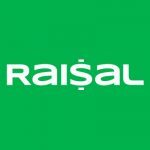 There are no online reviews available for Raisal. Work For Raisal? Claim This Page.